Last night I arrived in Waterloo, ON where for the next three days I’ll be participating in the Global Suburban Infrastructure Workshop at the University of Waterloo. The workshop is part of the ongoing Global Suburbanisms project led by Roger Keil, and has drawn together a number of excellent scholars in the field. The paper I’ll be presenting on Tuesday is called The “In-Between Territories” of Suburban Infrastructure Politics, and builds on the work I’ve been doing for the last several years on competitive multi-city regionalism in the United States. In this paper I investigate the increasingly central role that certain suburbanizing localities have come to occupy in regional infrastructure development schemes, thanks to their position between major cities along transportation corridors. New scales of networked economic flows require new fixed infrastructures to be realized, and thus also require new economic development territorializations. There is a contradiction in the contemporary relationship between infrastructure development and local growth politics in the United States. On the one hand, infrastructure development is commonly understood to be a central policy focus of growth coalitions, since infrastructure provides the material preconditions for new capital investment in localities. The emergence in recent decades of new infrastructure-led development strategies based around trade and logistics has strengthened this focus and supplied new tangible targets for growth politics. But, on the other hand, infrastructure development also challenges the coherence of local growth coalitions, since infrastructure projects frequently exceed the local and metropolitan scales at which such coalitions are preferentially organized (via municipal governments, chambers of commerce, economic development corporations, and regional partnerships). In this paper I argue that this contradiction has been driving a new form of multi-city growth politics in the US—one which has tended to privilege certain specific suburban development interests. The paper advances two major claims. The first is that “geographical market making”—the extension of effective supply chains and the intensification of circulatory possibilities within a supply chain—offers a structuring principle for new, emerging multi-city growth coalitions analogous to the role of land use intensification underlying traditional local growth machines. The second is that “in-between territories”—suburban jurisdictions located between major growth poles along urban corridors—have become key strategic points in the territorial politics of geographical market making and infrastructure politics more broadly. The first section of the paper discusses the relationship between the development of the built environment and the local growth coalitions widely understood to be central to contemporary entrepreneurial urban governance. On the basis of that discussion, I introduce the concept of geographical market making, and outline the basic strategic contours of the multi-city growth coalitions which assemble to pursue geographical market making strategies. I then proceed to argue that geographical market making generates a distinctive suburbanized spatial politics. Where local economic development agendas in polycentric urban regions are driven by infrastructure priorities of the growth poles, specific suburban spaces can emerge as strategically important sites for territorial growth politics. This is thanks to 1) the imperative to unite political-economic interests across the entire regions, and 2) strategic opportunities for siting new infrastructure development along established corridors but outside the major growth poles. I call these sites “in-between territories”, in the sense that their strategic significance arises from their spatial location in between growth poles along urban corridors. But describing these sites in terms of their relationship to nearby major cities is not meant to imply that they are peripheral. Indeed, while in-between territories are spatially “in-between”, they are strategically central. In the paper I develop this argument through a comparison of suburban infrastructure politics in two sites in the United States: Pinal County, Arizona and Polk County, Florida. Pinal County is a rapidly urbanizing county between the major Arizona growth poles of Phoenix and Tucson. In the last 25 years its population has increased four-fold, from 100,000 residents in 1990 to over 400,000 by the end of 2014. Much of that growth has been exurbanization from greater Phoenix along the main interstate corridor of I-10. Polk County lies along the I-4 corridor in Central Florida, equidistant between Tampa and Orlando. Like Pinal County in Arizona, Polk County has been one of the fastest growing areas of the state thanks to expansion from the two major cities it lies between, although it has grown from a larger base, with the city of Lakeland accounting for 100,000 of the more than 600,000 residents in the county. In the last ten years both the Phoenix-Tucson and Tampa-Orlando corridors have been the sites of new economic development strategies focused on expanding and intensifying the built environment for trade and logistics. And in both cases, the in-between territories of Pinal County and Polk County respectively have become (surprisingly? disproportionately?) central to these strategies. Since 2010, in the wake of the onset of the Great Recession and the complete collapse of Arizona’s housing-led growth pathways, a group of metropolitan planning organizations in Phoenix-Tucson corridor has been collaborating (as the Joint Planning Advisory Council) to develop a new freight-led economic development strategy. The centrepiece of the strategy is an attempt to create a distributed “inland port” to capture logistics activity from the Los Angeles and Long Beach ports, and from Mexican maquiladoras. And Pinal County has become the linchpin in this strategy—the “cream filling in the Oreo cookie”, as one of my informants described it—because it has readily developable land located between Phoenix and Tucson and with good connections to two interstate highways and the Union Pacific rail line. In Central Florida, Polk County has played a similar role in corridor-wide planning and development schemes. 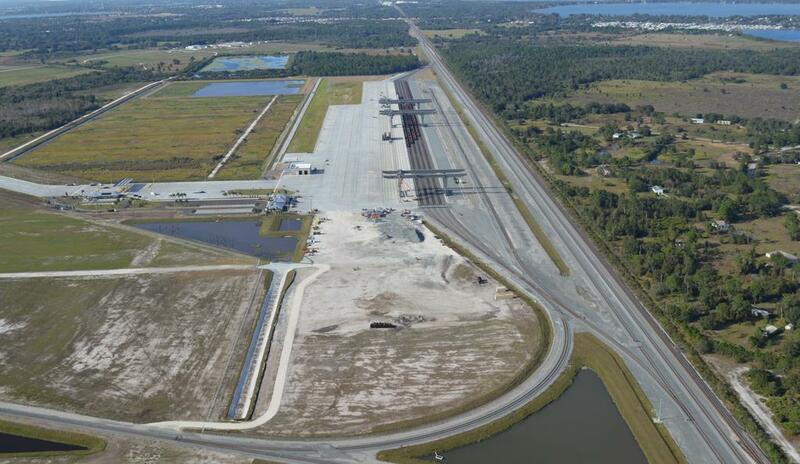 The distributed nature of Florida’s ports (unlike most coastal states, there is not a single large primate port but rather a range of medium-size facilities) means that the centrally-located Polk County has been an attractive destination for new logistics initiatives. The paper systematically compares these two cases, and draws out the implications for the future of urban growth politics in an increasingly polycentric and suburbanized urban landscape.